It was 2002. I was a 14 year old high school student from Hudson, Quebec. I used the Net for MSN Messenger (chatting with friends). Every now and then, I would research websites for school projects. I knew my Dad's company published books that helped people build website businesses. That's all I knew about the Internet back then. My Dad loves those inspirational books where people quit their day jobs to live in places like Provence or Tuscany. Circumnavigation stories, too. When he stumbled across a book called A Trip to the Beach, it was the main topic of conversation for several dinners. At the time, none of us knew that this was going to change everything. 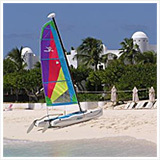 I had never heard of this tropical speck of an island in the Caribbean called Anguilla. And never did I think I would start a website about an exotic part of the world I had yet to visit. My Dad happened to be chatting with a friend, Doug Burdon, one afternoon, talking about the book and how much the Blanchards (the authors) clearly loved the island. Had Doug ever heard of it, my Dad asked? 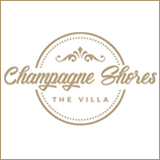 Doug had just signed a long-term lease on a villa on Barnes Bay. 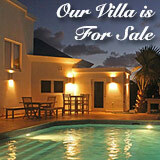 He had not stayed in it yet, but generously offered us the villa for two weeks in March. Five months later (August 2002) we returned for six weeks. We had all fallen in love. A month and a half of swimming, exploring, tanning, eating - and watching Nickelodeon at night. Yuki and I were living a dream. My Dad brought all of his work with him on his laptop. He worked in the early morning and at night. So the family had the whole day to explore. And did we ever! We had visited all 33 beaches during our first two week visit in March, which may be a world record! The roads back then aren't what they are now. That poor little Toyota was tested to the max. 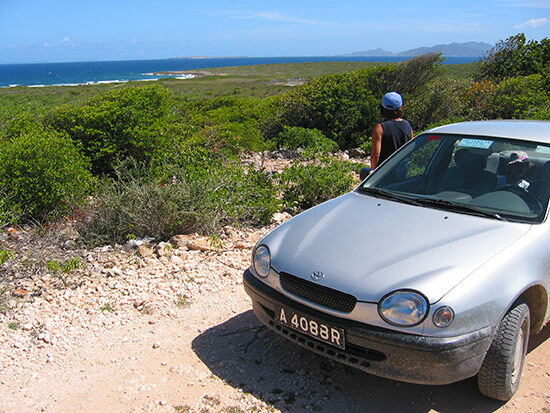 This time (in August), we took our time, crawling over every inch of Anguilla. 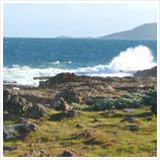 Each beach has its own special character. The people are the warmest you will meet anywhere. 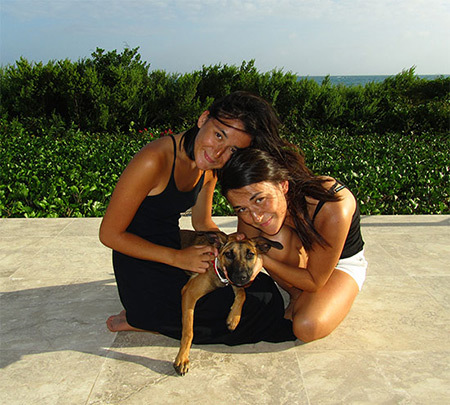 I'll never forget the feeling that we had as a family in Anguilla. I don't like to be trite, but the entire experience (beaches, people and food) truly was magical. On that trip, my Dad's company had just launched a new product, "Solo Build It! (SBI!)." It enables non-tech people to build online businesses based on subjects they know and love. Our explorations (pre-Google Maps), by car and then walking when the road ran out were really adventures. Through it all, we took tons of photos. My friends stopped listening to me talk about the adventures via MSN. 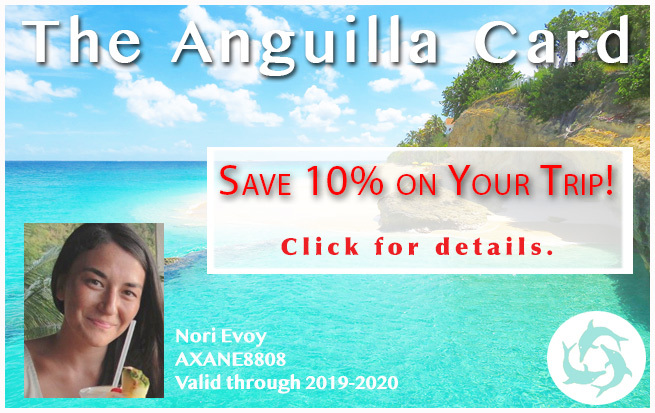 After watching my Dad work from his laptop, that is when I thought... how about a website about Anguilla? After all, we did have quite a collection of stories and photos, being there for over a month. 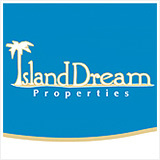 How did SBI help me build Anguilla-Beaches.com? Click here for my Solo Build It! review and how SBI! 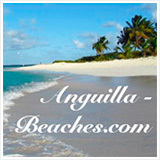 helped build Anguilla-Beaches.com. And then it happened. Life changed! 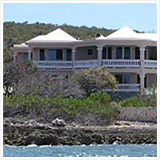 My Mom, Dad and sister permanently moved to Anguilla in August 2008 before me. 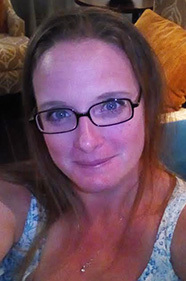 I finished up the university courses I needed to transfer out of my Communication Studies major at Concordia University, joining the family at the end of 2008, accepted to a business major in New York City for the autumn of 2009. I used that period from January 2009 until school started to learn more about the inner workings of what makes a successful web-based business from my Dad's SBI!. What a valuable segue! It was perhaps the most important course that I will ever take. 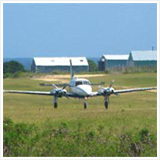 By the time I was starting school in New York, Anguilla-Beaches.com was growing in traffic and income. Over the next three years I studied entrepreneurship and management at the Zicklin School Of Business. It is one of the "oldest business schools in the world," is also "the largest business school in the United States" and "consistently ranks as one of the best business schools in the nation." (source: Wikipedia). Writing from our home in the Caribbean, looking out at St. Martin, graduation from school in NYC seems long gone (May 2012). 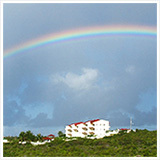 Since, I've moved home to Anguilla to focus on Anguilla-Beaches.com full-time. 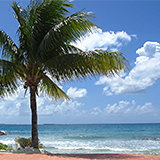 Today, Anguilla-Beaches.com continues to grow and the team expands, too. Kirmani Honoré I first met Kirmani back in 2011 when he joined up with our yearly internship program at Albena Lake Hodge Comprehensive School. 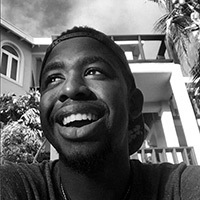 Since graduating in 2013, he has come on board full-time, learning about the Internet and helping grow Anguilla's presence on the web. Enthusiastic, Kirmani is always up for an adventure (he can be found scaling some pretty intimidating cliff sides)! Louise Fayet If you have been to Le Bon Pain, you might recognize Louise. 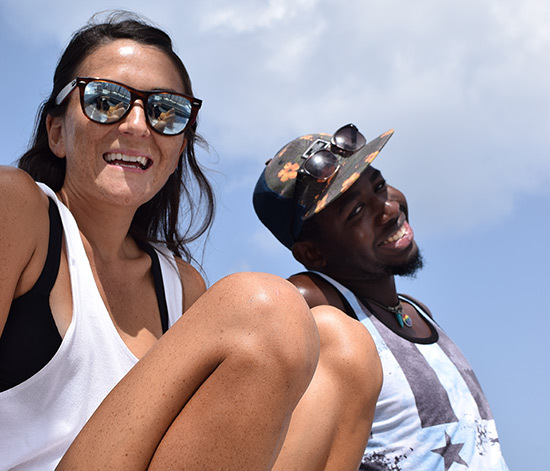 Her Mom owns and runs the bakery, and Louise was born and raised in Anguilla. 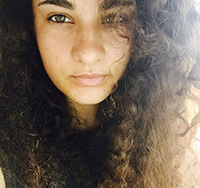 She is our summer intern from Albena Lake Hodge Comprehensive School - with a passion and an eye for photography. Kashamar (AKA Cassie) Lewis ... our 2017 intern from Albena Lake Hodge Comprehensive School! 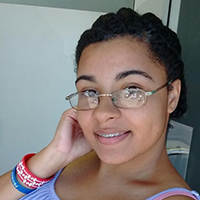 Smart as a whip, Cassie is dedicated to her studies in math and science. When she's not hitting those books, she's indulging in her passion for literature and writing. A gifted writer, Cassie sure has a way with words. 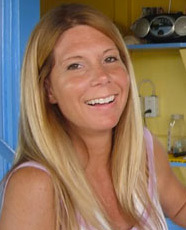 Today, our friend Kristin calls the shores of Anguilla home and helps with the website. Molly Nutting hails from Pittsford, NY. 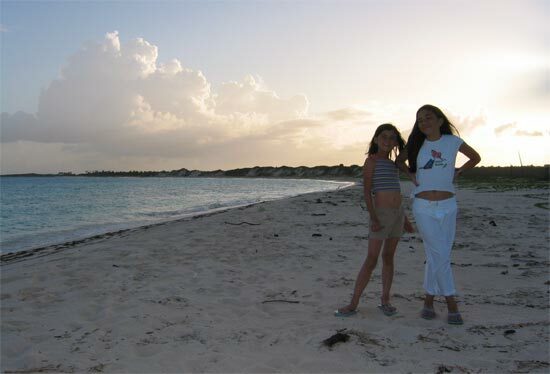 Her first visit to Anguilla was at just 10 years old. 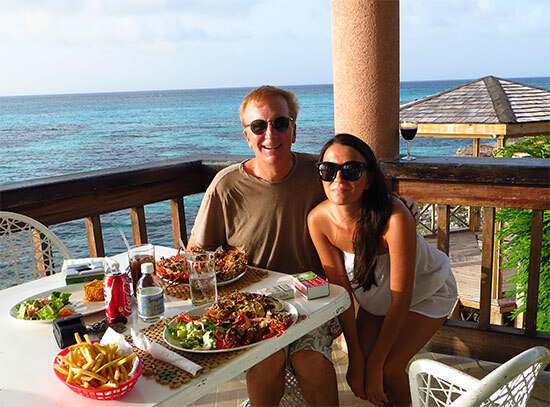 Who would have thought that one day she would move here to start her family owned company, Anguilla's Jammin' (which she did in December 2014)? 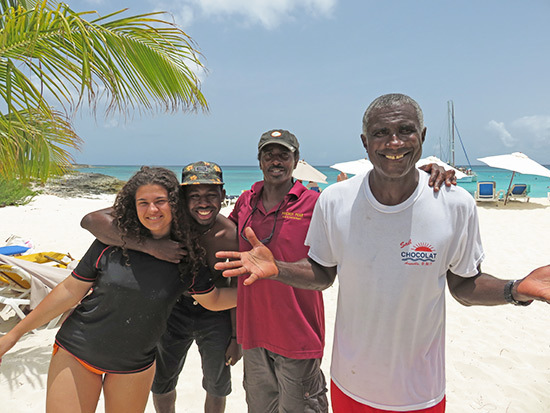 When she is not making jam or louring you in for a jam tasting, Molly loves to enjoy Anguilla's National Sport, Boat Race or an afternoon taking in the musical talents of the Island. She is also an Anguilla Beaches intern, learning about the Internet. "Why not be in a place I love, with people I love, doing something I love?"